Vinologue » Vinologue Empordà now available! You’ve been hearing about it for a while as we’ve spent the entire year writing it. 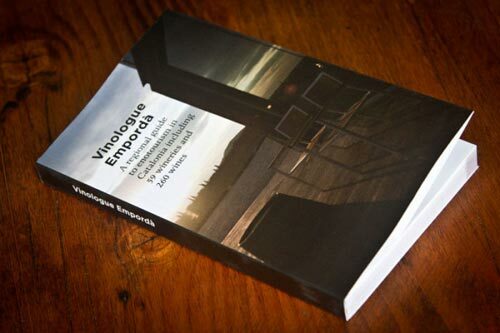 Now, it’s finally here: Vinologue Empordà. This guide that includes 59 wineries and tasting notes on 260 wines is ready for your reading pleasure. You can either purchase it in the digital version which is available from Amazon, Apple, and Barnes & Noble or you can buy our lovingly crafted print version which is in full color, totaling 360 pages. Oh and if that print guide is tempting you (because really, it should), for this first week of its release, we’re offering free shipping to anywhere in the world free of charge! So come and join us in this enotourism journey through the most northern and eastern bit of Spain. Just make sure to top off your glass.